It certainly wasn’t always this way. About 15 years ago there was great hope in the idea of hydrogen internal combustion—essentially running engines not much different than gasoline ones on stores of the periodic table’s first element. 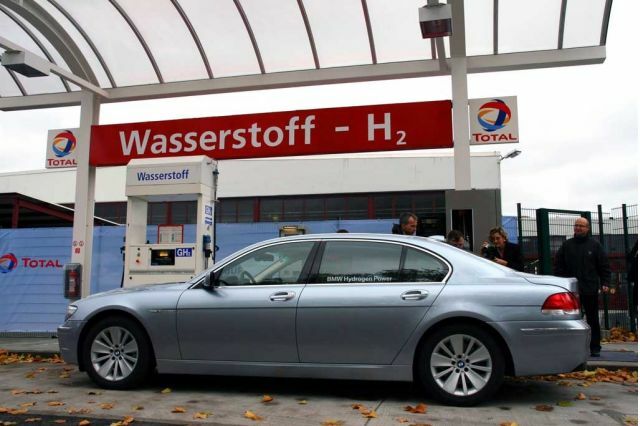 BMW offered a version of the 2005-2007 BMW 7-Series, called the Hydrogen 7, with a 6.0-liter V-12 that could run on gasoline or hydrogen. 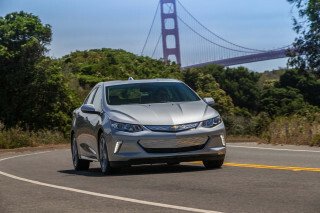 It claimed an efficiency of about 40 percent on hydrogen—versus considerably less than that for most gasoline engines. 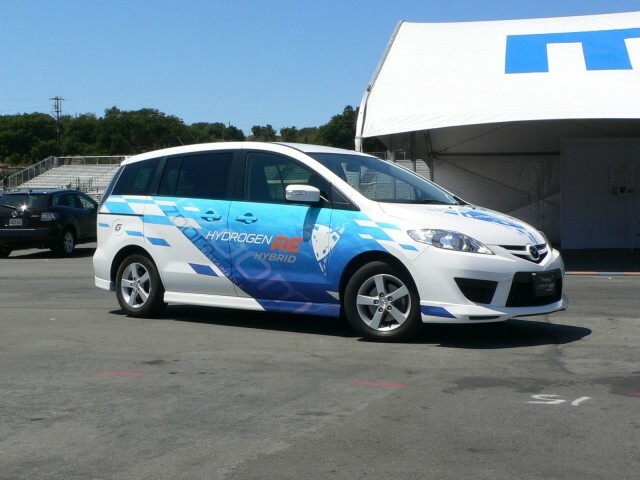 Mazda was particularly active in this area, and claimed that its Wankel rotary was especially well-suited to hydrogen, as the engine design already tended to run cooler than conventional piston engines and thus could reduce concerns over NOx. It first had a bi-fuel version of its RX-8 that could transition between hydrogen and gasoline when needed, then in the Premacy H2 RE as part of a series hybrid system. When we drove this vehicle in the fledgling days of Green Car Reports, we found it to be quite perky, thanks to its electric motor system. 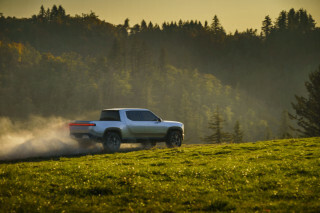 The game-stopper with either of these vehicles—other than the sheer cost—was the impracticality of storing enough hydrogen to get meaningful range. The Hydrogen 7 could drive only 125 miles on 17.6 pounds of hydrogen, after which gasoline kicked in. Today’s 2019 Hyundai Nexo fuel-cell vehicle, on the other hand, can go 380 miles on 13.7 pounds of hydrogen. In recent years, the efficiency of fuel-cell vehicles has passed the 50-percent mark—meaning that more than half of the energy contained in the hydrogen is employed to operate the vehicle. Hyundai, for instance, has said that the fuel-cell stack itself in the Nexo runs at up to 60-percent efficiency. Storing hydrogen in a car still remains a hurdle, so the technology that can go further per precious ounce of hydrogen (that’s fuel cells) is the winner. 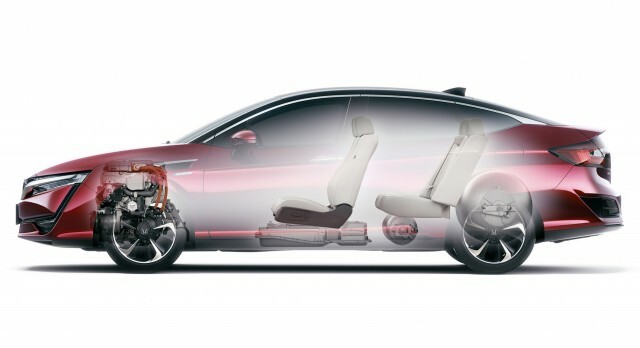 The Honda Clarity Fuel Cell, for instance, goes 366 miles on its 12.0 pounds of hydrogen, stored at 10,000 psi and requiring three separate cylindrical tanks to maintain a practical enough package (even at that, the rear seatbacks don’t fold or afford a pass-through. Also, hydrogen internal combustion does nothing to fix the primary issue with hydrogen, which is its delivery and dispensation from sustainable sources. The range of hydrogen vehicles is another hurdle as the infrastructure slowly rolls out. Of course, there must have been a reason why research-and-development executives and engineers at several major automakers, often bearing PhDs and a very good sense of how energy and combustion work, and the problems facing fuel cells and hydrogen production, considered hydrogen internal combustion in the first place. I attended several such presentations. At that time, fuel cells were cumbersome and prohibitively expensive. Keeping to an internal-combustion layout was seen as cheaper and something that could be produced alongside existing models. But times have changed. Fuel cells have become much smaller and more energy-dense and are now roughly the size of a carry-on suitcase—with the potential to become even smaller in next-generation. Hydrogen internal combustion engines still produce some of the most scandalous criteria pollutants, NOx—which made their “well-to-wheels” emissions well, not so green, even before the Volkswagen emissions scandal put the focus on that component of tailpipe emissions. While the video below, from Engineering Explained released late last year explains why hydrogen internal combustion looks like a dumb idea now, it pays to remember why: The engineering, and the business case for what works at present (and why) is evolving very rapidly. So go ahead, declare hydrogen internal combustion dead. But we're not ready to make such pronouncements for fuel cells. As the number of electric and electrified vehicles builds, fuel cells might increasingly function as part of the entire electric-vehicle ecosystem; and potentially trading off for batteries—in industrial applications, or commercial-vehicle loops, where they could end up being a smart idea after all.